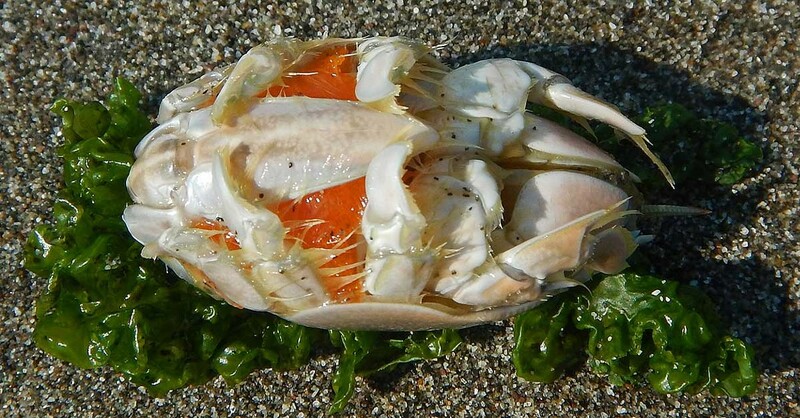 Photo by Mike Kelly Female mole crab with eggs, belly up. 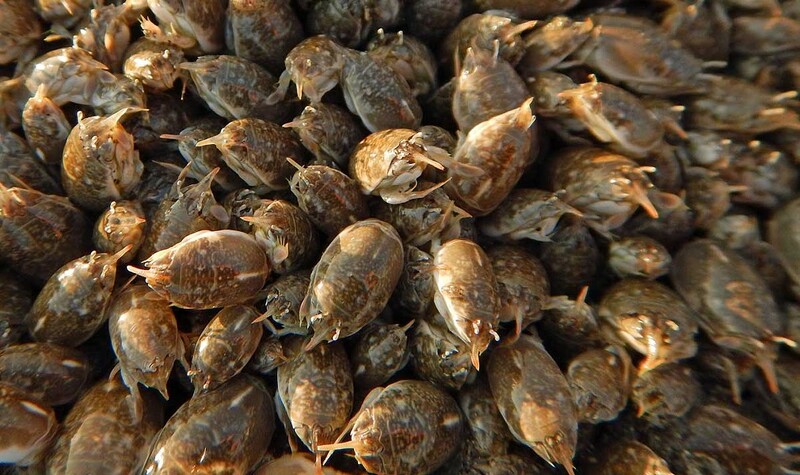 Photo by Mike Kelly A crowd of Pacific mole crabs. 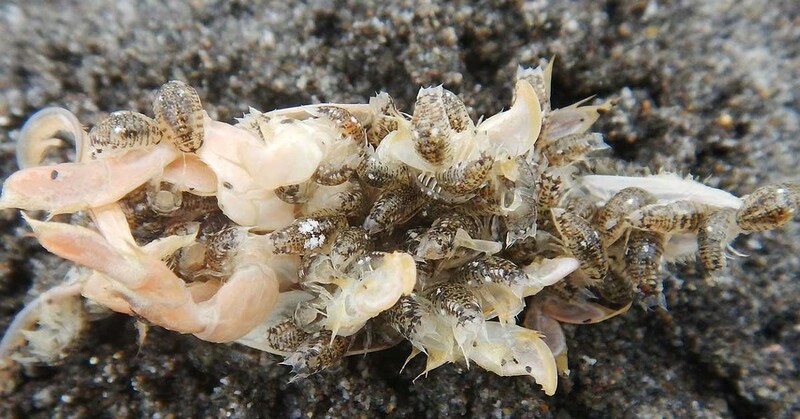 Photo by Mike Kelly Isopods descending on a mole crab. 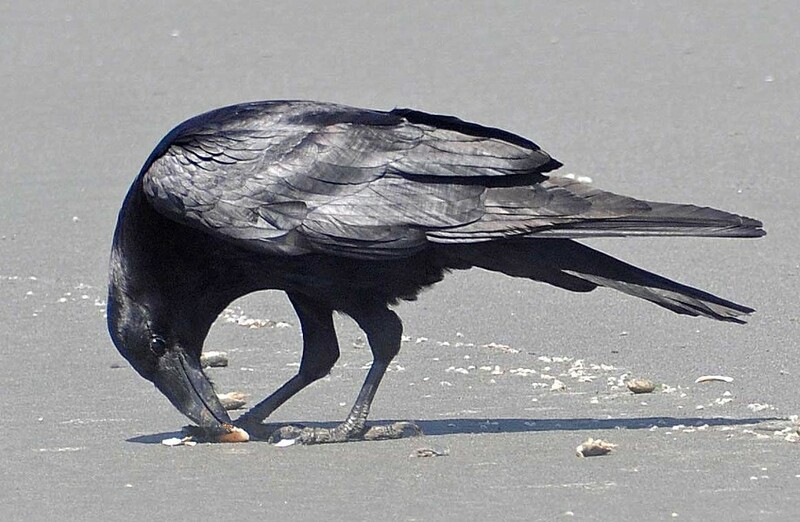 Photo by Mike Kelly A raven snacking on mole crab eggs.